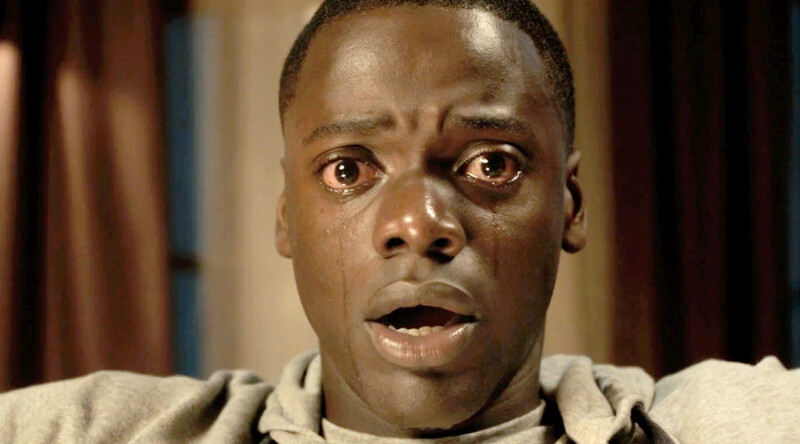 Funny, creepy, frightening and startlingly original, Get Out is a rage-driven genre-shifting sensation. The year’s most important film to date, if not the best. In the opening scene of Get Out a young African American man glances about nervously as he walks alone at night through the empty streets of a benign-looking well-to-do white suburb. This is a brilliant inversion that drops us into the anxious man’s perspective, defamiliarising the domestic mundanity of the scene and casting it in a sinister light. Turns out the guy is edgy for good reason – a car pulls up and he is dragged inside. We subsequently learn that this is but the latest of numerous such abductions the police are grappling with. This is a terrific prelude to the main action that tonally and thematically prefigures what is to come. Mighty impressive, considering Get Out is writer/director Jordan Peele’s first feature film. Indeed, there’s a Hitchcockian touch to the atmosphere of vague threat and situation of intrigue he sets up. Praise doesn’t come higher than that. Cut to African-American Chris (British actor Daniel Kaluuya) and his adoring white girlfriend Rose (Allison Williams). They’re heading upstate for a weekend at the country estate of Rose’s wealthy parents, Dean (Bradley Whitford) and Missy (Catherine Keener). Chris is understandably nervous when he learns that Rose has not told them he is African American. No issue, she insists – her parents are liberals for whom race is irrelevant. And indeed, she perfectly models their values in her interactions with Chris. Too perfectly. You do wonder whether Peele has gone a bit overboard in her characterisation. But as the drama unfolds, any such doubts are dispelled. He knows exactly what he’s doing. The visit starts as might be expected. Dean and Missy are a little try-hard in demonstrating their liberalism, declaring rather gratuitously, for example, that they’d have voted for Obama a third time if they could have. Mindful that their intentions are good, Chris responds good-naturedly. At this point, the film shapes as a light satirical comedy, with Dean and Missy in the crosshairs. Wrong! Bit by bit, things turn weird. Missy, a hypnotherapist, is intent on offering her skills for Chris’s benefit, persisting even as he politely declines. Then there’s Rose’s creepy hipster brother, who seems barely able to contain an unaccountable hostility. He’s nervy, a ticking time-bomb. And most enigmatic of all, the strange African-American estate staff, who are somehow removed from reality, glazed-eyed, almost zombie-like. Don’t even try to guess where this is going – you won’t. Suffice to say, social satire gives way to horror, as the piece spirals into a bizarre nightmare zone in which Chris finds himself surrounded by conspirators who have a fate in store for him worse than death. Get Out is the most important film of the year, if not the best. It may prove to be a landmark in African-American cinema. You won’t come out of it quite the same as you went in. Be prepared. Australian release date: Get Out in cinemas from 27 April.